Wouldn't it be great to make custom workouts in SportTracks and have them sent to your Garmin wirelessly without having to connect with a USB cable? Thanks to our new partnership with Genius Wrist, this is now possible! Last month we announced the ability to create structured workouts in SportTracks and export them as FIT files (so you could then load them on to your Garmin via USB). With today's announcement, if you have an active Genius Wrist account, you can now ignore your USB cable until it's time to charge. Genius Wrist is a software company that makes Garmin Connect IQ apps, and the app that you need to take advantage of this integration is called Workout Builder. This is how it works: you create custom workouts in the SportTracks calendar, then you open the Workout Builder app on a compatible Garmin watch, then you go into the settings of that app and select Online Sync. A few seconds later your custom workouts magically appear in your watch, and they're ready for action. You can easily create a Genius Wrist account here, and then link your app here. 1) Launch the Workout Builder app on your watch. 3) Select the Online Sync option from the settings menu. 4) When the sync is complete, go into the settings of the Workout Builder app again and choose Select Workout. 5) The custom workouts you created are now accessible in your watch! 6) Use the Workout Builder app to execute your workout. If you create multi-step structured workouts, the Workout Builder app will guide you through your plan as it's happening. I recently completed a pace interval run with Workout Builder, and the app would notify me to speed up when I fell below my desired pace range. The app never needed to tell me to slow down, however. ;) There's a lot more Workout Builder can do, so it's definitely worth checking out. 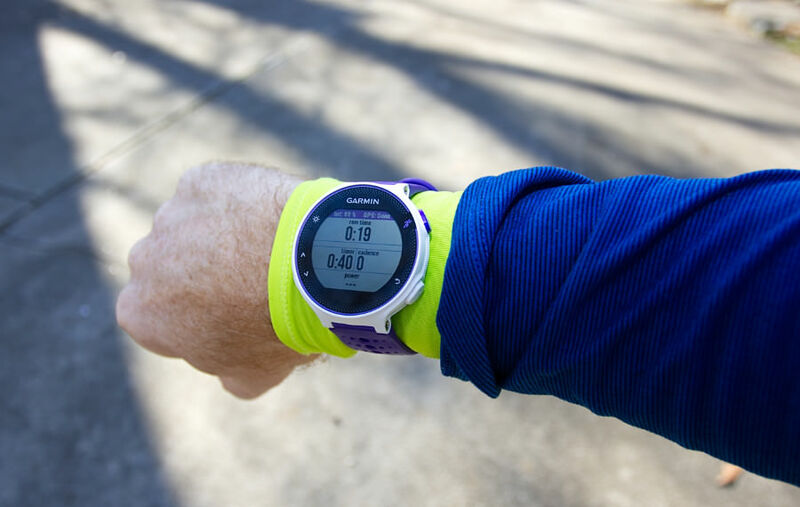 How does the Garmin 230 running watch compare to the Forerunner 220? Don't forget to login into the website before sending the message, so we can have more information on your account and device model to help you figure out what is going on. We figured out what is going on; you are running a very outdated version of the app on your watch. Just update to the latest version! Is this an app that I use in place of the standard running/cycling apps? How do they work on the vivoactive? Vibration alerts signal the change in workout and then high/low metrics (i.e pace too fast, HR too high etc) are also vibration triggered? I have power connected to my VA via the Stryd footpod. Can I do power based workouts using this app? Appreciate the info, this is really great news if it works as described. Yes, it is a replacement app. The app supports alerts and the vibration patterns, and sounds are different for every type of alert. That means most of the time you don't need to look at the watch to know what is going on. Currently, the app does not support STRID, but it does a lot of things the STRID app can't do. So this is a matter of deciding what is more important in each of your workouts. Give it a try. You have nothing to lose. We have a 30 days money back guarantee policy . for a detailed description of everything, the app can do. Hi Robinson - This looks great, thanks for the detailed response. If it's possible to add the ability to use the Stryd power meter going forward (I see that the app already has power meter support - presumably for cycling), that would be a huge bonus because I could create power-based workouts on the Vivoactive, as well as alerts, etc based on Power which is currently not possible on the VA. The standard Garmin Running App supports Stryd so maybe it's possible to add to your app as well through the same channels. I cannot specify when it will be available.